For every mom out there giving daily for your children other loved ones in your lives, I wish you a beautiful day. I would like to give back to a mom today, and will do so the best way I can - with a free copy of one of my cookbooks . Many of you already have my books, but maybe someone will win that doesn't - or, maybe you will give the book to another mother in your life! All you have to do is comment on this post*. I will announce the winner tomorrow, and will be back to blogging a little later. *One comment per person, open to US and Canadian residents. Thanks for the Mother's Day greeting and the book offer! Looking forward to your return. Happy Mother's Day Dreena! I'm also a vegan mom of 3 vegan kids. My kids LOVE your version of rice crispy treats. Hope you all have a great day. watching your child grow into a compassionate funny person who loves school & puppies is a big perk of the job. Also introducing her to raw chocolate mousse cake was pretty fun! I would love to give any of your cookbooks to my mom! She'd love them so much. Thanks! and happy mother's day! i don't have any of your cookbooks yet and i would love one! thank you for your generosity! OH, I would love a new cookbook from you. Fingers crossed. Hope you have a super Mothers Day!!! The perks of Motherhood are indescribable!!! I wish all those who choose not to be "Mom" knew what they are missing!! Same goes for fatherhood. My present husband has no children and it is hard for him to understand the relationship between parents and children. He loves my children very much though and they love him too! My first husband passed away after 45+ years of marriage, father of my three children. We became Vegan over 6 years ago and never looked back. I have your book,The Everyday Vegan, Love it! Would love to win one of your other cookbooks. Happy Mother's Day to you!!! Hope you have a blessed one! Happy Mother's Day to every momm out there. Thanks for the opportunity to have one of your books! I would love a cookbook!!! Have a wonderful Mother's Day. My mother would love one of your cookooks! I eat the sweet and sour tempeh and sweet potatoes as often as possible, and I'd like to be able to share it with her. Happy Mothers day to you also! i haven't been able to get any of your books yet, so i would love to win one! My copy of EDBV is literally falling apart from so much use. Happy Mother's day to you (you're an inspirational mother, I look forward to feeding my son all of your delicious recipes once he is old enough to start on food). wow! Happy Mother's Day to you too! How sweet that you're going to give away a cookbook (and, ahem, I would love one!) 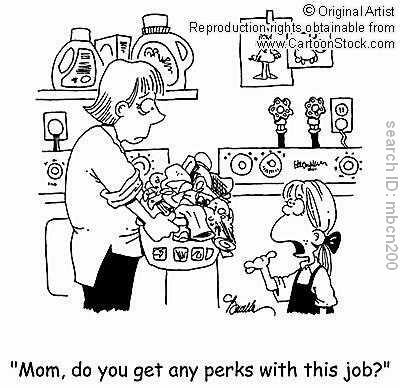 ... we moms have to stick together! I became a mother on April 12 for the first time. What an honor! I now more fully understand my mother's love for me. We want to raise our baby girl to love lots, hug lots, and have healthy habits so she can live long ( like eating vegan). I would love to receive your cookbook! I heard about you from KD of Your Daily Vegan. What a nice giveaway on a gorgeous day! Since I don't have any of your books yet, winning one would be a great surprise. Enjoy this wonderful day with your family and thank you for all you do. Happy Mother's Day to you too! Thanks for helping us all be better vegan cooks to our little ones with your delicious recipes and encouragement! What a lovely idea! Happy Mother's Day to you. I don't have one yet! I hope I win! Thanks for the giveaway! I am a mom of 2 and I hear that your recipes are very family friendly! I would love one of your books! I would love one of your cookbooks! Happy Mothers Day! Happy Mothers day, thank you for this opportunity! Happy Mother's Day to all of you vegan moms out there! Keep feeding your kids with love and respect. Thank you Dreena for helping us do that is such a delicious way! Love the hug tip : ] I grew up in the conservative NE where I think everyone could use more physical expression of love. Thanks for the giveaway, and Happy Mother's Day times 3! Happy Mother's Day! I think being a mother is one of the most challenging roles but also the most rewarding! Happy Mother's Day to you, Dreena! happy mothers day, my momma would love a new cookbook. I was just telling my husband that I want a Vegan cookbook to try my hand at a healthier lifestyle for our family! Happy Mother's Day back at you! Aww, Happy Mother's Day, Dreena! I would L-O-V-E to win a book! Happy Mother's Day to all. I'm a SAHM to a two-and-a-half year old, and I've been enjoying a morning of relaxation while my husband does the cooking today. It's been really nice! Happy Mother's Day to you! Thanks for the inspiration you provide to me and so many others. Thanks for all you've done for vegan cooking! Happy Mother`s Day Dreena!!! One way or another, I`m gonna HAVE your cookbook. You`ve changed my life... I can`t even imagine how much love, support, dedication, and sacrifice you give to your family every day. Lots of love to you and yours!!! Thanks for inspiring me to be a better mom by giving me delicious, nutritious recipes to make for my family. My two young boys love everything I make from your cookbooks! Happy Mother's Day! Happy Mother's Day! I have been enjoying your blog for some time now. I am also a vegan mom of three. Although my kids aren't vegan, they often enjoy my vegan recipes, some that I get from you! I could sure use one of your cookbooks! I would love a copy of one of your books. What a great Mother's Day gift! Happy Mother's Day to all human and non-human mothers! I would love a copy of one of your books, I don't have any of them yet! I don't have any of your cookbooks, and I have wanted them forever!! Happy Mother's Day Dreena! I'd love to win one of your cookbooks to share with a nonvegan friend! Happy Mother's Day to my mother and grandmother! They inspire me daily to be a better woman. Happy mother's day! Thanks for the contest! What a wonderful & generous gift! I would be honored to own one of your cookbooks & to be able to share with others! My mother is amazing. When I came home announcing my new-found vegansism a little over a year ago, she hopped right on board just as she did 14 years ago when I decided to no longer eat meat. I am proud to say she is now 99% vegan and has veganized many of our family's favourite meals. She truly is superwoman. Happy Mother's Day! I love the idea - finger's crossed! <3 Give aways. Happy Mother's Day! What a great way to celebrate Mother's Day - with one of your books! Hope you had a wonderful day! This was my very first mothers day- Nolan was born 6 weeks ago ;) I now understand what all the fuss is about- being a mom is truly the best and most important thing in my life! I'm looking forward to more posts and new cookbooks from you as my vegan baby boy grows up! Thanks for all that you do, you're an inspiration! Happy Mother's Day! I would love to gift one of your cookbooks to a friend since I have them already. Thanks! without my daughter I would not be able to celebrate Mother's Day, so here is to her!! My love, My joy, My life!! Love the comic you included here. I would love one of your cookbooks! How lovely! Happy Mother's Day to you too! I would love to share one of your cook books with my mother in law! Happy Mothers Day to you! Happy mother's day to all moms.